3 Psychedelic Drugs You Probably Haven't Heard About: and Why You Should Avoid them! Home › Psychedelic Drug Abuse › 3 Psychedelic Drugs You Probably Haven’t Heard About: and Why You Should Avoid them! 3 Psychedelic Drugs You Probably Haven’t Heard About: and Why You Should Avoid them! These 3 psychedelic drugs can cause some very negative side effects. Although many psychedelics are not addictive and researchers are currently studying them for medicinal uses, a few are extremely dangerous. Unfortunately, this does not stop people from using them recreationally. These dangerous psychedelic drugs should be avoided at all costs. Three psychedelics that you should definitely avoid are synthetic cannabis, straight ergot, and Jimson Weed. All three of these are extremely dangerous particularly to those who do not know what they are doing. It is one of the more dangerous synthetic drugs on the market today and is responsible for overdoses, psychotic behavior, and deaths all over the United States. 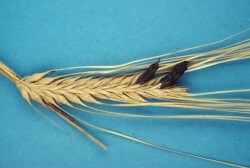 Ergot is a dangerous psychedelic drug. constrictions of the blood vessels. What is odd about ergot is that in its refined form, it is LSD, a popular hallucinogen that has very few of the same side effects. In high doses all of these substances are extremely dangerous. One of the odd things about this flower is that people still use it to treat swine flu, regular flu, asthma, and coughs. It only works for these conditions under very controlled doses. According to the New Mexico State University, it should never be ingested directly. It contains other poisons that are just as deadly. These three powerful psychedelics should never be taken recreationally. They are extremely dangerous and can quickly cause permanent damage to the body and brain. Most people who take them wind up with the majority of their more unpleasant side effects. Large quantities of each of these drugs are either incapacitating or deadly. If you are considering trying any of these drugs do not do it. Many of those who use them recreationally wind up in the hospital or the morgue. For more information on any of these psychedelics please call 1-800-895-1695.